We've all had the disappointment of making some scrumptious-looking recipe off of our Pinterest board and then realized that it was scrumptious-looking, not scrumptious-tasting. So, I thought I'd share with you some of my top scrumptious-tasting recipes that I've tried from Pinterest. I've tried a lot that were good--but these recipes hit it out of the ball park! 3. Roasted Zucchini, Black Bean, and Goat Cheese Enchiladas from The Sprouted Kitchen. Why I had never tried goat cheese before this recipe was a mystery I tried to solve while simultaneously snarfing these babies down! This is one of our favorites! 4. The Basic Pizza Dough from the Food Network. Let me tell you people: I've tried a lot of pizza dough recipes. This one--I love. Not too thin, not too thick :). I make a double batch of this recipe every few weeks, stick the dough in the freezer, and we've got easy homemade pizza for a few weeks. 5. French Onion Soup Sandwiches from Joy the Baker. Do I need to say more? I could eat these everyday and be happy forever. 7. Simple Scones from Allrecipes. This is my go-to recipe for when I need to bring a breakfast/brunch snack. They get oodled over every time. But, instead of raisins, I use chocolate. Along with the mounds of butter, the gooey chocolate may be what wins people over! 8. Smashed Avocado and Chickpea Sandwiches from Two Peas in their Pod. This recipe was requested several times by the mister, and it is quick and easy to make. Plus, it's a nice change of pace from the basic ham + cheese sandwich. I kinda want one right now! 10. Aztec Cocoa from Budget Bytes. I recently tried this and was brought back to my college days. I spent a lot of time in college with a family from Mexico and the mom (Marta) would always whip up hot chocolate. This tastes so similar--I think, though, that it may have even more of a kick! If you like things a little spicy, you'll enjoy this twist on traditional cocoa. I'd love to add recipes to my food board--so now you tell me...what recipes should I try next!? What are your proven Pinterest recipes? I cook from my Pinterest recipes every week. The very best recipe I've made do far is Sausage and Bean soup with Pasta. So simple but amazingly tasty. I included the link. Two other favorites are a PF Chang's copycat Mongolian Beef recipe and cheesy artichoke bread. Yum! Ok, here's a question: I LOVE to make my own pizza dough, and frequently wonder how it would work to freeze it. Do you freeze it in a ball? I don't really get it. Do you let it rise first and then freeze it? Or do you freeze prior to the rise? The whole thing just confuses me. And how do you thaw it? 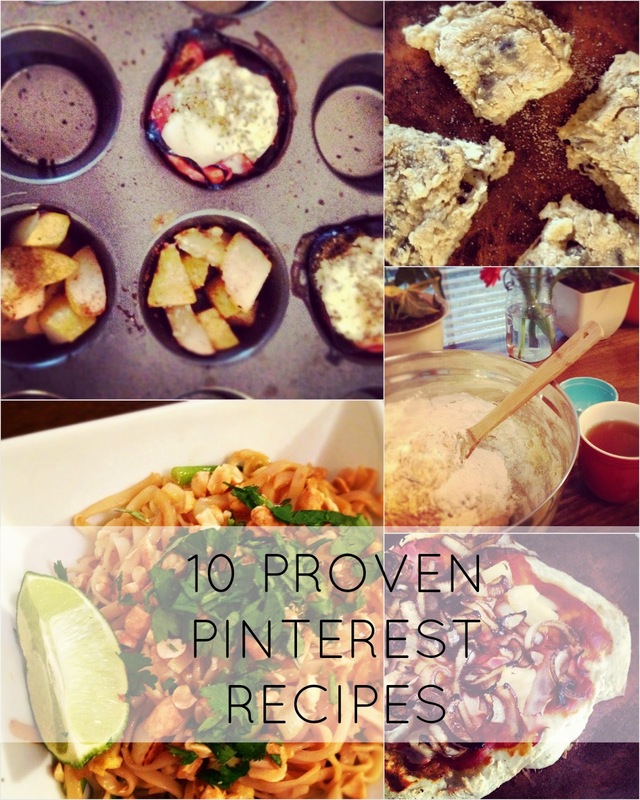 As for my favorite Pinterest recipes, I've got a bunch. They're all mixed in amongst my Pins I've Actually Used on Pinterest page (http://pinterest.com/skooksplaygrnd/pins-i-ve-actually-used/) . . . recently I've made the Cinnamon Sugar Pumpkin Mini Muffins which are INCREDIBLE. Love them. Made em like 3 times already. I kinda want to make em again RIGHT NOW just because I'm thinking about it.